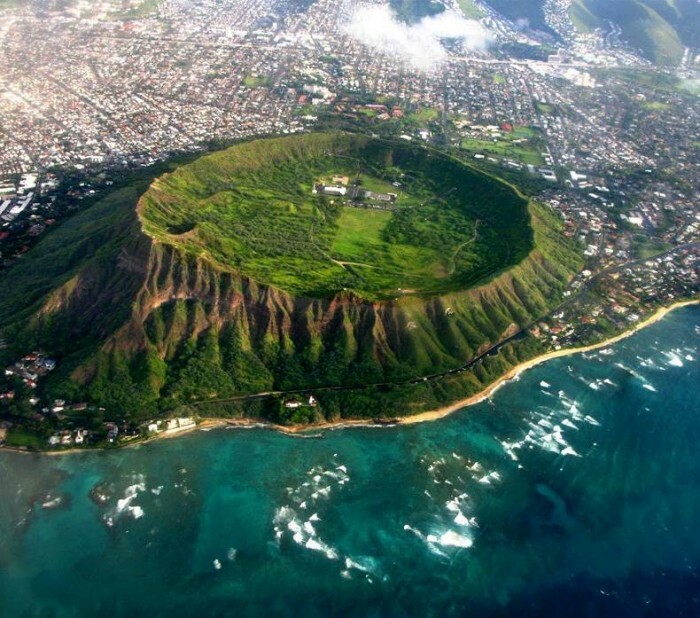 It’s not an impact crater but a (hopefully) extinct volcano – it is, in fact, Diamond Head, Honolulu, Oahu, Hawaii, USA. Looks like you haven’t been to Honolulu yet, eh? Yep, that’s the Diamondhead volcanic crater on Oahu; a bit of a hike, but worth the view from the top.